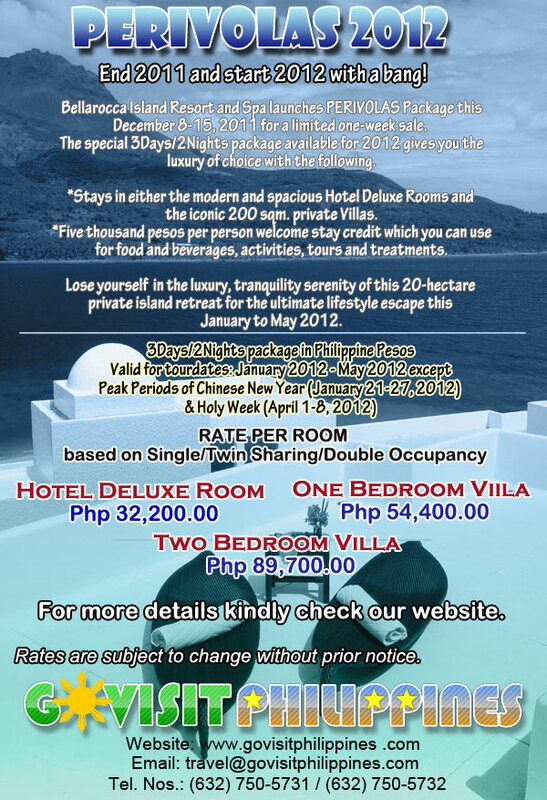 (3Days/2Nights Package) Perivolas 2012 – End 2011 and start 2012 with a bang! This entry was posted in Book with Us!, Hotel and Resort Rates, Land Arrangement Packages, Philippine Tours, Uncategorized and tagged govisitphilippines, its more fun in t, its more fun in the philippines, marinduque, packages, promos. Bookmark the permalink.